Custom flooring including ceramic tile, porcelain tile, marble, and hardwoods really raise the wow factor. 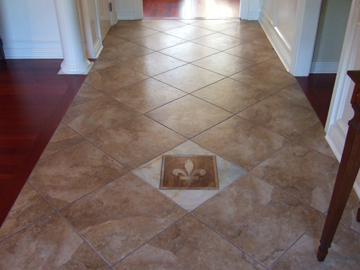 When you first walk in a home and are greeted with custom tile like is shown in this picture it really makes an impression -- both on house guests and potential buyers. Prepare your house for market or your next party by requesting a free online quote today.